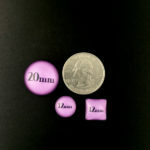 If you’re curious about how big an 8mm post earring is in comparison to a 20mm post earring, and how big that would be on you, you’ve come to the right page. 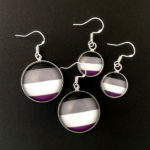 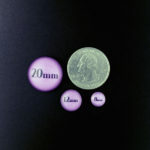 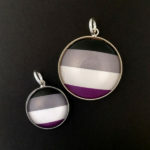 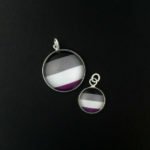 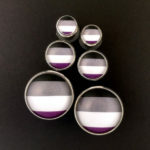 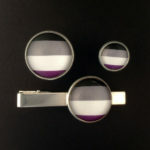 We have 3 photos showing the different shapes and sizes of glass (round is our most common) compared to a US Quarter, and then 4 photos of our Asexual Pride pieces compared to other sizes in the same style. 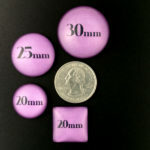 If you have any other questions on size, or materials, please don’t hesitate to ask.